What Are Traits of Good Parents? What traits do good parents have in common? Are there certain things that someone does that makes him or her a good parent (or not a good parent)? Of course, the definition of a good parent isn't something that's fixed or absolute. What may seem like the traits of a good parent to one person may not fit that definition for someone else. But generally speaking, these traits and habits can be found in parents who are practicing good parenting skills. Parents naturally want their kids to succeed and may push, prod, bribe, demand, or even threaten kids with punishment to get them to practice an instrument, excel at a sport, achieve top grades and so on. The fact is, being a Tiger Mom (or Dad) isn't likely to get your child further than giving kids lots of support, and gently nudging if and when they need it. Good parents know that it's important for kids to do things for themselves. Whether it's homework or chores or making friends, the best thing we can do as parents is get kids to a place where they can handle things on their own. It can sometimes be hard to tell how much we should help and how much we should let kids figure something out on their own, but as a general rule, helping your child with something is fine when you do it with the end goal of teaching them to eventually do it by themselves. For example, it's not a good idea for parents to, say, do a child's homework for him or hover over a play date and dictate exactly what the kids will play and howvthose are definite examples of helicoptering, not helping. But if you show a child how to work out a homework problem or settle a problem with a friend in a respectful way, you're giving your child good tools for the future. Got a piece of juicy gossip you're dying to share? Want to tell off a neighbor who did something rude or offensive or yell at a driver who cut you off? While we can't always perfect, every good parent knows that kids are always learning from the examples we set. If we want our children to be kind, empathetic, and well-mannered as they grow up, we must try to be on our own best behavior and be respectful of others. Can a parent occasionally lose his or her temper or yell? Absolutely—we are human, after all. But insulting or humiliating or belittling a child are never, ever a good way to teach anything. Would you want to be treated that way? We can all get so busy, it's easy to forget to take the time to show our kids how we feel about them. 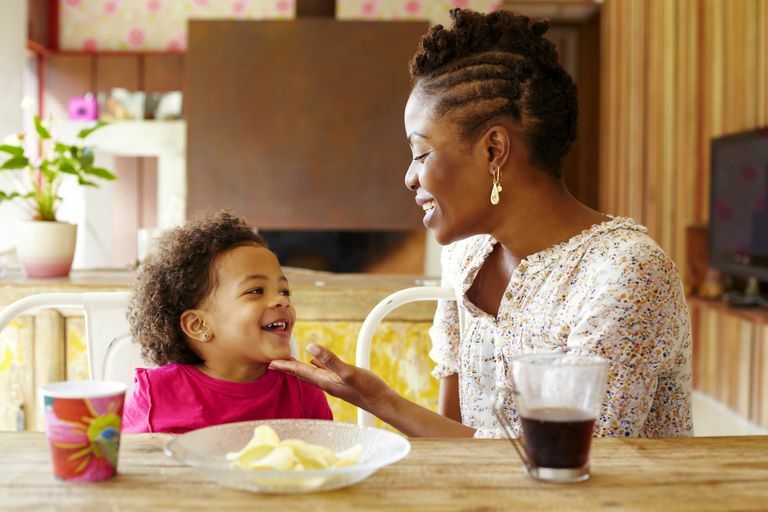 Small gestures, like writing a little note for her lunchbox or sharing things about yourself with her can strengthen your connection and show your child how much you love her every day. You probably teach your kids to own up to things they did wrong and apologize and try to make up for what they did. This is just as, if not more important, for parents to do themselves. Good parents know that all parents can sometimes make mistakes, and they learn from them and show their kids how to take responsibility for their actions. Discipline (not punishment) is not only one of the best things you can teach your kids but it's a way to ensure that you are raising a child who will be happier as she grows. Why is it so important to discipline children? Kids who are not disciplined are much more likely to be spoiled, ungrateful, greedy, and, not surprisingly, have trouble making friends and being happy later in life. Your child may be more of a quiet reader than someone who wants to be a star on the stage or a soccer field. While it's great to encourage kids to try things that may push them out of their comfort zones (the "You won't know if you like it till you really give it a try" can sometimes apply, especially to kids who are still figuring out who they are and what they want), it's important for parents to do a quick check and make sure they're not pushing kids for the right reasons (to try it, and not because the parent wants the child to be something they're not). Who are your child's friends? What are the parents of the child like? Who will your child encounter when she plays at the friend's house, and are there guns in the home? These and other questions to ask before a play date are not only crucial for your child's safety, but it's an important way for you to keep track of what your child is experiencing and encountering when he is away from you. Teach kids to be kind, respectful toward others, be charitable, grateful for what they have, and have empathy for others. Of course, we all want our kids to strive to get good grades; win awards and accolades for music, sports, and other activities; and be successful later in life. But if you forget to teach them how to be good children and good people, they will be less likely to be happy and fulfilled, no matter what things they achieve and how much they succeed. Remember to laugh together, spend time together, and connect positively every single day. Whether it's sitting down to play a fun board game, going for a bike ride, cooking, watching a movie, or just reading a good book together (or reading different books side-by-side, if your child is older), good parents spend time doing something fun and connecting with their kids in small and large ways every single day. Parents often spend a lot of their time with their kids talking to them rather than with them. Practice listening to your kids and really giving them your full attention (away from a computer or phone screen). You'll be surprised by how much more you feel connected to your child, and you'll likely learn about lots of things your child is thinking and feeling. The best part: You'll be also showing your child how she can give you her undivided attention when you want to discuss something with her.